I’m ready to order, how do I know if I’m ordering enough? 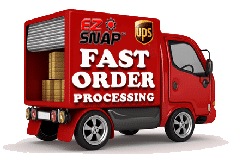 EZ Snap has a page on the website that is dedicated to ordering and installing. Click Here to visit this page. Although it is fairly simple to figure out how much to order, it is also important to double check how many fasteners are in the kit(s) you are buying. Check the number of fasteners provided in the kits vs the number of fasteners you’re planning on using. Typically, there should be enough fasteners supplied with the kits for most installs, but it is up to you to confirm that the amount of fasteners supplied in the kits will be enough for your specific project. Tip: We recommend that you print out the measuring guide to help determine what to order. 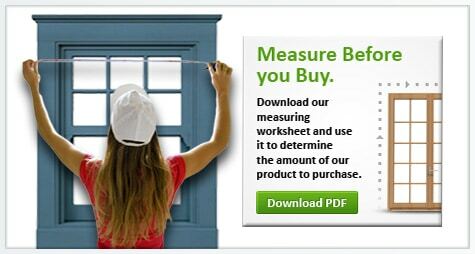 Your completed guide will also be helpful when it’s time to cut your Shade Mesh to fit your windows and skylights. When covering multiple windows and skylights, it’s important to plan your layout on your fabric before you start cutting. Measure twice, cut once. I think I need 17′ of material, but you only have 15′ kits. What do I do? I have a window that is over 6′ wide. What can I do when your width only comes in 6′ wide? If you require our shading mesh in a width wider than 6′, please call us on our toll-free number and we can discuss your options. It is possible to have your local upholstery shop stitch or “Fusion Weld” the EZ Snap mesh together to make wider widths. Where the widths are stitched or welded together, you will see a seam. Our toll-free number is 1-877-439-7627. I don’t need the amount of EZ Snap screen it takes to get free shipping. Can I combine my order with a neighbour or family member? Yes. This is done all the time. Just have one person place the entire order at once with their credit card and then split the bill up between you later.